Was there for M,H& L open house. Excellent event, people, food and wine. Bill fell in love with the Red Mazeratti. The team that operates this dealership truly cares about the needs of those visiting, shopping and having vehicle's serviced. I would highly recommend this multifaceted organization to anyone in need of its services. 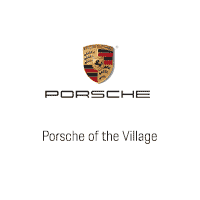 I have had my Porsches (4) serviced at Porsche of the Village for the past 15 years. During that time I have worked closely with David Proffit the service manager to feel 1000% comfortable with the work needed and the best solutions to my service problems. In addition to the standard service of the cars, David has helped me with the winter-to-summer switchover and back, even when I had a car change in the middle of it requiring a size change - he was a magician! You may have heard that "It isn't just about the cars, its about the people?" Well David is the reason people say that!